Getting a new job these days is a true feat. Especially so in an economy that is still yet to fully recover after one of the most devastating crises that it has ever seen. In order to live a good life, one needs to do everything possible in order to get a good job when the time comes. No matter whether you are looking for work because you’re out of work or you’d just fancy a change, finding a good job is not easy. Still, it does make it easier to find employment if you are skillful at jobs that are deficient. Sometimes, you will be able to find such a job in your town of residence. At other times, you will need to move somewhere else to do it. Right now, we bring you 5 best industries for jobs in South Carolina for 2019. We may have something for you. Should you find a match in the list above, but live outside of South Carolina, you may want to get in touch with Verified Movers in order to organize your move. First and foremost, it is important to point out that employment that has to do with the field of technical sciences has reached the top positions of desirability. Speaking about it on a global level, we would say that IT has taken over. However, South Carolina is something special. 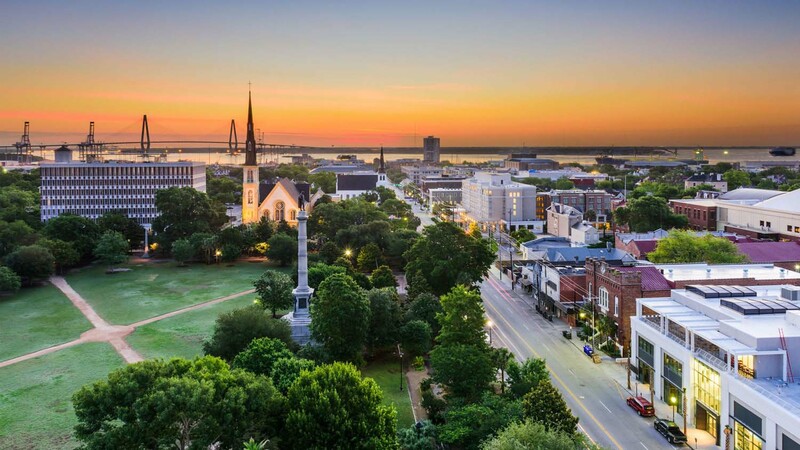 Due to the gentrification and interior design trends that have been taking over the country, the demand for architects in South Carolina has been rising in the past years. Furthermore, given the fact that there are fewer architects than required in this state, we can freely say that the conditions offered are better than in other industries. Lastly, the level of stress in the industry is lower than average. Architecture is a creative job in which you can thrive only if you are really living and breathing it. If you work in a field that you like that much, then stress is a term that you will seldom use. Healthcare Practitioners and Technical Industry occupy the second out of five places on our list of 5 Best Industries For Jobs In South Carolina. SC offers great employment options in the healthcare industry. Can you think of a state in which health care workers do not thrive? Sure, nurses could really use better work conditions and compensation. They could also use adding more people to their teams. After all, the patients could use the same. Still, if you are a doctor, you would probably be living a very good life in this state. Therefore, while relocating to South Carolina from another state could be a drag, think about the perks of working in top hospitals there. Maybe you should take this opportunity more seriously after all. Moving on with our list of 5 Best Industries For Jobs In South Carolina, we reach the Production And Manufacturing Industry. Creating and selling the final product has always been held in high regard. However, the conditions under which people work have not always been the best. This is changing in South Carolina. Greenville, SC has been turning into a manufacturing hub. Plenty of companies have opened their offices and factories here. This means that the placement of your product might be easier than what you would expect. Try to get in touch with the local production and manufacturing industry. Your hidden gem may be lying right there. Looking for a career in education? SC universities are always looking to attract quality teachers. Knowledge is a resource that you can reproduce an unlimited number of times, pass it on to someone else and never lose any of your resources. How many industries can you think of that can conduct business in this manner? Plus, both large and small companies will pay a lot in order to enhance their business performance. In case you are skilled in this field, you could work basically anywhere. Then, why would you think about long distance moving to South Carolina to work in this industry? It’s simple – the pay is good, the state is very diverse and the climate amazing. Does it get much better than this? The management industry is the last one on our list of 5 Best Industries For Jobs In South Carolina. Managing is very similar to education and training. You are brought into a company for the knowledge that you possess. You can use that knowledge to produce good business results that are going to drive the business forward. The management industry is one that is going to pose plenty of challenges along the way. Therefore, it can be quite stressful. However, it is a high-reward industry as well. South Carolina is one of the top locations to manage companies because there are many of them that are new on the market. Managing a newbie can be difficult. On the other hand, such an environment allows you to show off all of your skills, polish them and reap the fruits of your labor. If I were you, I would not pass on an opportunity to work in one of the 5 Best Industries For Jobs In South Carolina. Looking for work in SC? These are the 5 best industries for jobs in South Carolina. Come inside and find out whether you should apply for work in one of them.